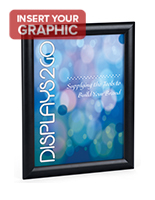 This snap open black poster frame combines an easy-to-use design with an economical construction that makes it a stylish alternative to standard wood or glass framing options. 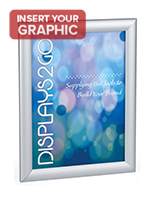 The lightweight aluminum frame features a clear acrylic protective lens to keep graphics and pictures safe while on display. 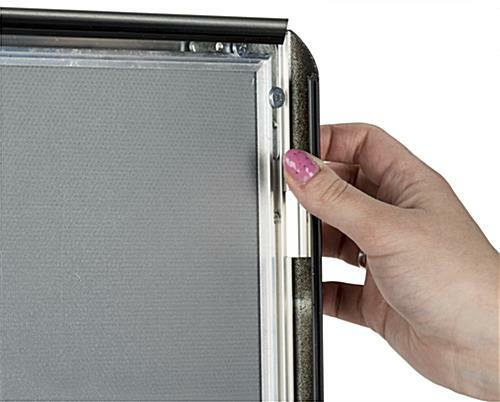 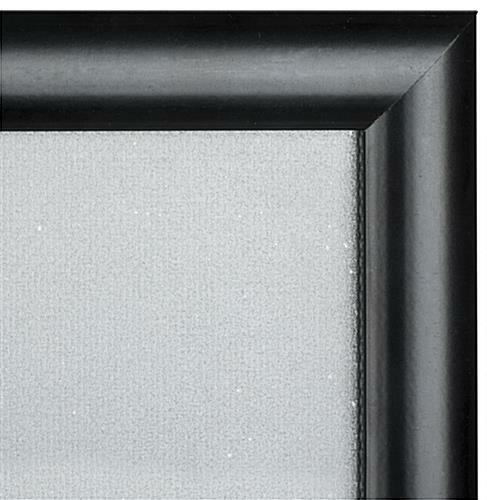 Each quick-clip black poster frame can be used in either portrait or landscape orientation. 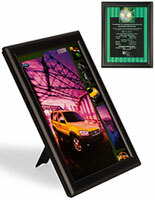 The versatile fixture includes mounting hardware for both countertop and wall-hanging display. 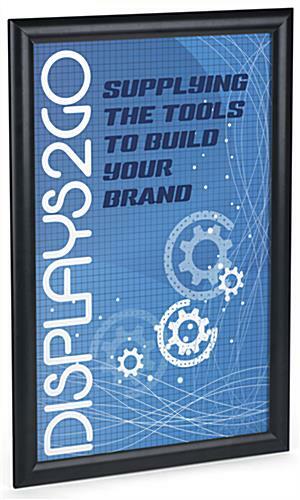 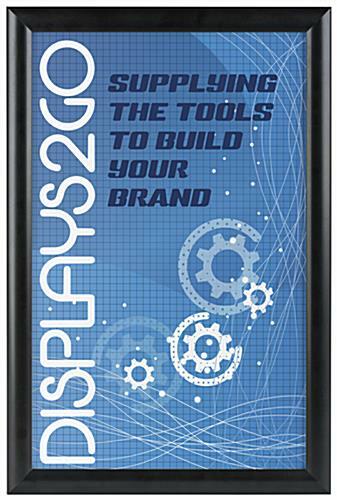 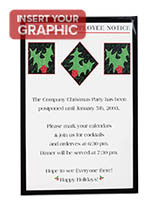 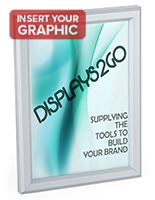 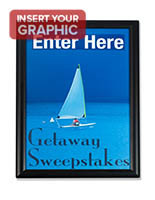 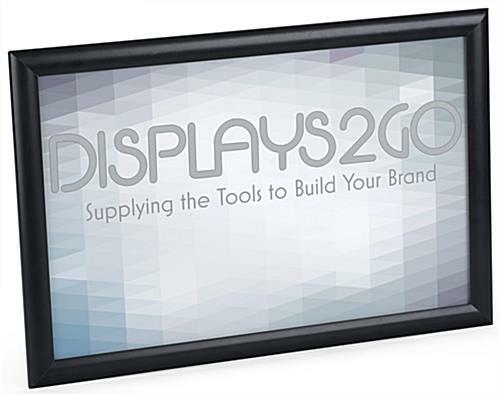 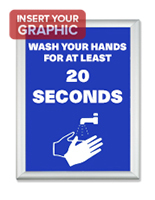 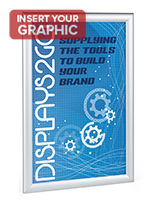 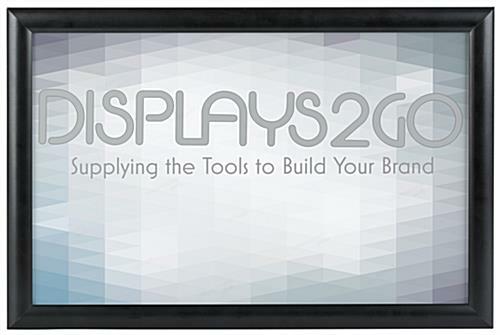 This black poster frame is designed for 11" x 17" pictures or graphics. 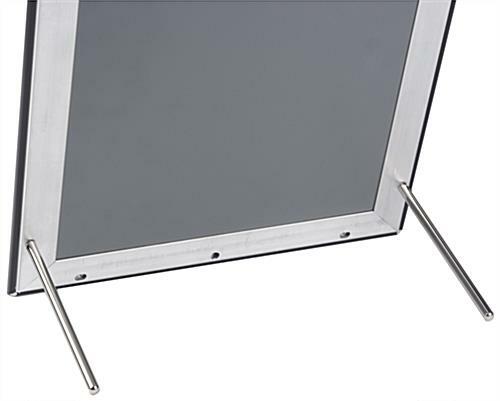 The lightweight design and quick-clip enclosure make this fixture a great showcase for advertisements, messaging or wayfinding signage as well as artwork.